Last week I decamped to CIPFA conference 2015 in a west London hotel and was given instructions to break the event down into my key ‘takeaways’. Now it’s worth pointing out up front that the below are by no means the totality of the interesting comments and discussions held, but they are, for me, some of the most profound. So here goes. 2) The Finance profession has an opportunity and a bigger role to play in leading the public sector change agenda. Coming from CIPFA conference it would be odd if I came away thinking the opposite but there is an important point in this. When a bad proposition is on the table there is often no one better than a finance leader to spot it and knock it back, similarly, when a good proposition is on the table but others haven’t yet recognised its potential there is no one better than a finance leader to bring it to life and drive it through. We need more of the latter, a lot more. 3) Doing the right thing for a long time in partnership was key to Manchester’s successful devolution agreement. In short, places shouldn’t be trying to ‘do a Manchester’, unless your factoring in 20 years plus of work. But grab the opportunity and use the mechanisms that are on the table to make a local deal that is right for you. 4) The possibility that Social Housing could become the “A&E of Housing”. This is genuinely troubling and we only scratched this surface of what this really means. 5) Integrating health and social care will be from the bottom up. Again, obvious from a distance but when we’ve gotten up close and personal with some of the integration efforts we’ve seen it’s still largely the preserve of big systems, process and silos with very little happening on the ground. 6) The importance of getting your macro and micro data right, then using it to model and evidence your case for change. 7) The importance of being fearless in leadership. We need to let leaders lead on strategy but get the specialists to do the bulk of the work. This isn’t a power thing or about hierarchies, although some may see it through those lenses. This is about extending the idea of ‘best fit’ to our personnel. 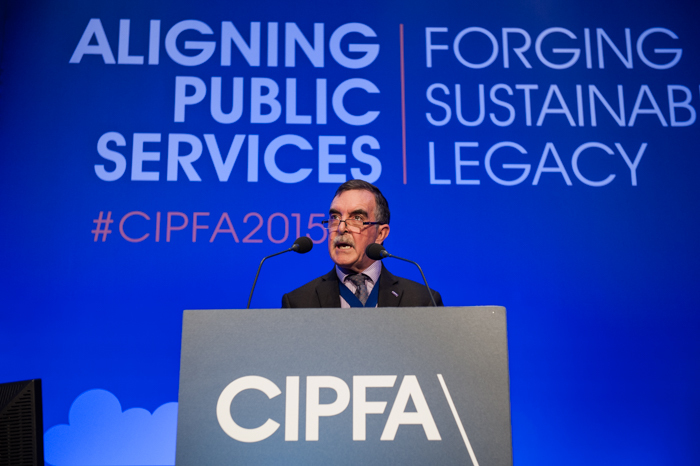 So there we have it, my seven takeaways from an excellent CIPFA Conference.